Agatha Christie collected many things. One of those things being Stevengraphs; silk bookmarks or pictures made by Thomas Stevens, a Coventry silk ribbon manufacturer. 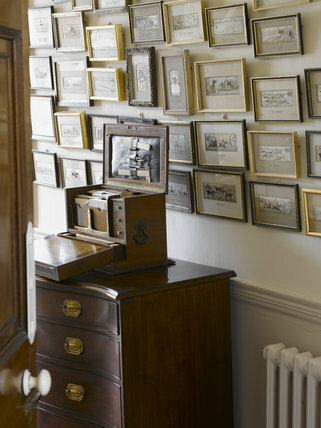 That collection can now be seen at Greenway, Agatha Christie’s holiday home which is just across the River Dart from Papilionaceous here in South Devon. 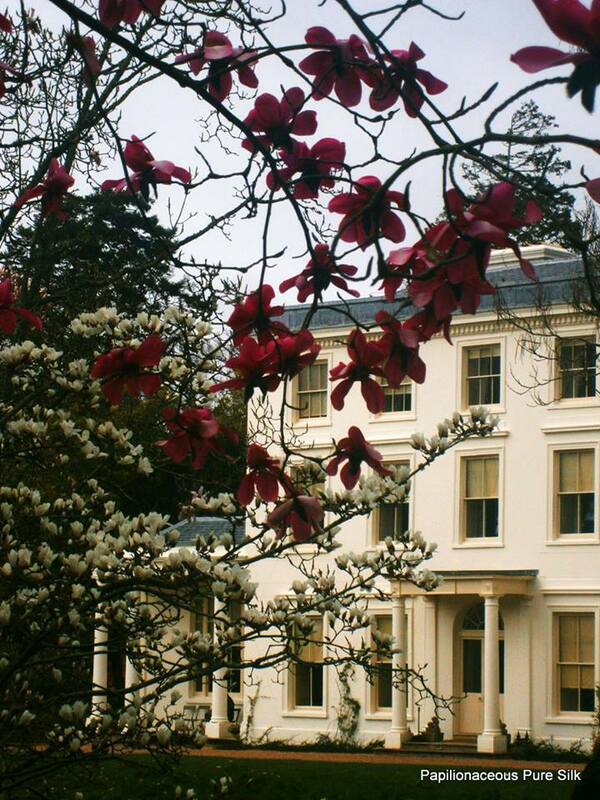 Agatha Christie’s holiday home, Greenway. The house is now owned and managed by the National Trust and more information can be found on the National Trust website. Agatha Chritie’s collection of Stevengraphs. Given our close proximity to the house and collection we are delighted to be continuing the tradition of the Stevengraph here at Papilionaceous. As with Thomas Stevens in 19th Century coventry, we weave silk ribbon and make silk bookmarks on site at our premises in Dartmouth. As with the original Stevengraphs, we use a jacquard loom built and adapted to weave very fine narrow silk images. Stevengraphs eventually became a generic term for small woven silk pictures as even at the time there were other weavers of simialr items. The Trust have a second property close by which is well worth a visit. Coleton Fishacre was the holiday home of the D’Oyly Carte family and is an Arts & Crafts style house set in magical gardens.